In these difficult times for anyone who cares about science, the state of our educational system, fact-based inquiry, and the values of diversity, ‘Science Fair’ could not come sooner. 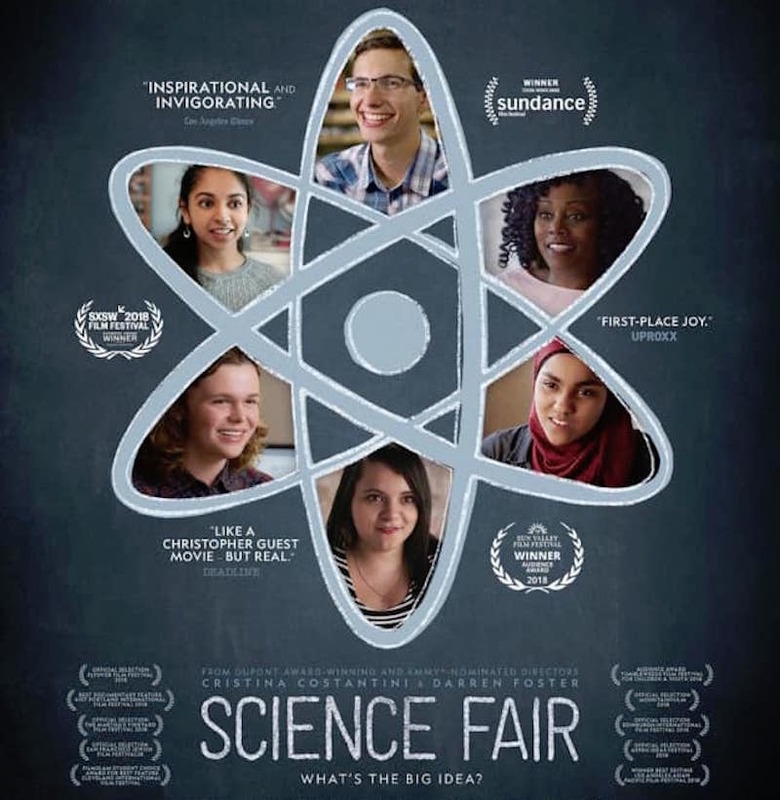 A National Geographic documentary, ‘Science Fair’ follows seven teams of dedicated young scientists from around the world, all vying for a spot at the International Science and Engineering Fair. The competition is intense, with millions of students entering local science fairs, where they might win the opportunity to compete at a regional or state fair, the winners of those competitions going to ISEF. 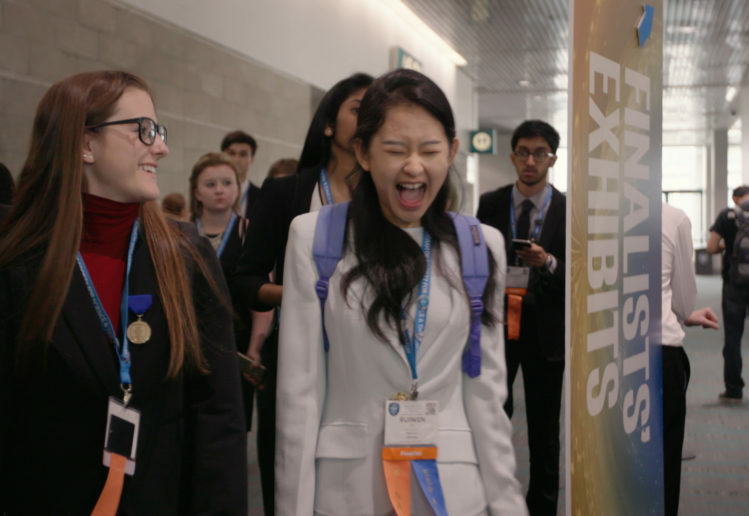 About 1,700 young people from 78 countries gather at ISEF every year, hoping to win the best overall award, or one of the 24 “Best of Category” awards. As one young person describes it, ISEF is the Olympics for science geeks. 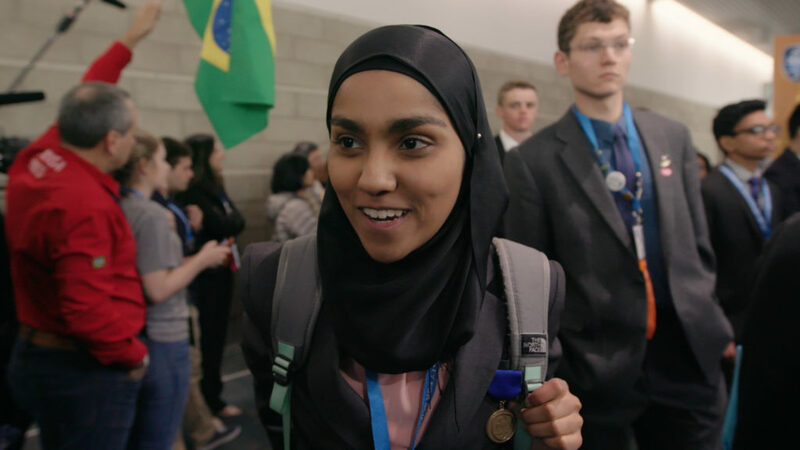 The documentary follows seven teams of young people vying for the opportunity to compete at ISEF, Kentucky, to Germany to rural Brazil. You meet each of them as they are preparing for their local science fair, what motivates them, and what going to ISEF means to them. I was particularly touched by Kashfia, a soft-spoken Muslim girl living in Brookings, South Dakota. 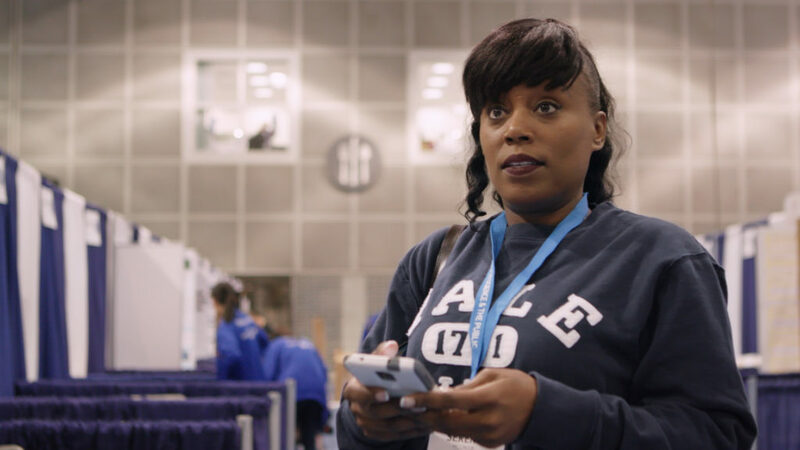 Despite the lack of support from her school and her isolation from the community, Kashfia exhibited incredible drive and passion for her brain research. Seeing her blossom as she got to ISEF among her fellow science geeks did my heart good. I also was so inspired by Dr. Serena McCalla, a passionate and dedicated science teacher in Long Island who led an incredible nine students to ISEF. Her tough love and firm belief in her young charges was incredible to witness. I could learn a lot from her. Really all of the stories of these young scientists were wonderful to learn about. If I have a quibble, it’s that the film is very light on actual science content, focusing instead on their personal journeys, families, and idiosyncratic quirks. I know that makes for a more engaging film for the lay viewer, but it does take away from the actual work that these kids put into their science projects. Overall, I found ‘Science Fair’ riveting from beginning to end. Most educators and parents will have a hard time keeping it together as these kids so bravely put themselves out there for judgment and criticism. This is required viewing for all science educators out there, and really everyone who cares about the state of science in our society.